I was looking at it and thought... wait a minute. and ones that aren't old. 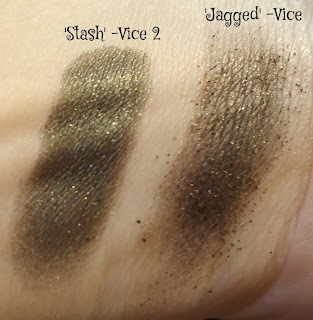 I decided to do a dupe post with some of the shadows from Vice 2 that are similar to other UD shadows. Upon first glance, I was sure that these two golds were the same. After swatching them, though, you can see that they are, indeed, different. while 'Strike' from Vice 2 is more of a deep gold. and would create two totally different looks. So, in my opinion, no dupe. 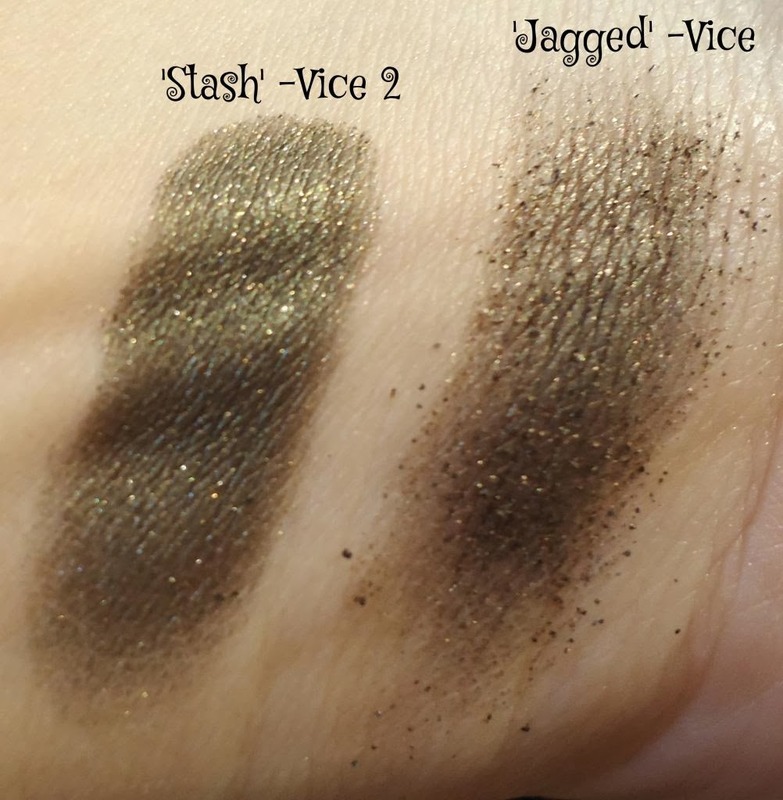 These two are basically the same except that 'Stash' is a satin shadow while 'Jagged' is a chunky glitter. The shade is the same, though. 'Stash' is MUCH better quality, in my opinion. These two clearly are not dupes. UD has a few light pinks, but each is slightly different. You can see that the biggest difference between the new one vs. 'Hot Pants' is that 'X-Rated' is matte and very delicate. 'Hot Pants' is a satin and much more pigmented. 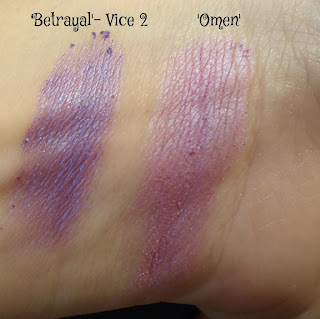 I, again, at first glance thought for sure that 'Betrayal' was a dupe of 'Omen', which UD released a couple years ago for the first time in their 15th Anniversary palette. 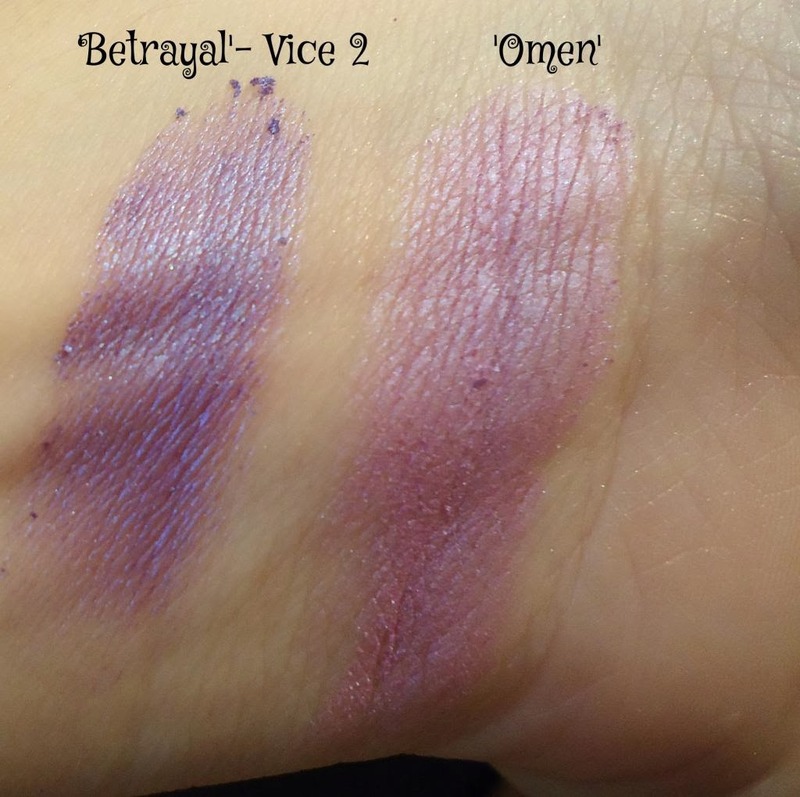 As you can see, though, 'Betrayal' is a much deeper purple, though they both have the same sheen. 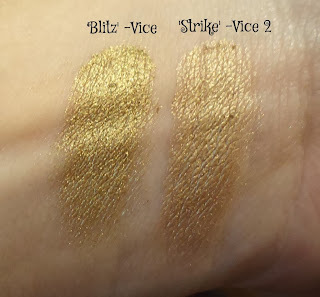 some other POSSIBLE dupes from UD's Vice 2 palette to look out for are 'Ambush' & 'Twice Baked', and also 'Derailed' & 'Armor' from Vice 1. Did you like these comparisons?